I remember having a conversation with someone about deja vu and the different theories about time that might link to why people have those kinds of feelings. One of those theories is that everything has already happened before and that time moves in a circle. I don’t personally subscribe to that theory, but this almost seems like a good representation of that theory. Out of the two storylines, I found Dominic’s to be better written. I did spend a lot of the book assuming that I knew what was going on and there were a few surprises during the course of it. It was interesting to see the parallels between Dominic’s and Nasty’s paths, but I felt that Dominic’s were much better described. Even the food he ate varied, whereas I read about Nasty having warm bread and an apple more times than I felt was really necessary. The idea of Nasty going barefoot was quite an interesting one and I felt that the author did a really good job of showing that, although it was her nature, there were still some problems and a few times when her feet got hurt and even infected. I did, however, think that the barefoot thing was mentioned a few too many times. I also thought it was interesting how the people Dominic and Nasty met interacted with them. The idea of the pilgrimage is quite a cool one. If I had the time/fitness level/money, it’s something I’m sure I would personally like to experience. I didn’t think everything was explained to my satisfaction in this book and I’d be interested in a sequel that further explores this storyline. I’d probably check out other books by this author in the future. Kissed by a Demon Spy is a companion piece to the Solsti series. It’s due for release on October 7th 2014. You can pre-order a copy of this book here. Although this book was the fourth in a series, I still found it really easy to read. I would have liked it to be a little bit longer, but it was still a really entertaining read. I liked the general idea of the agents of D.I.R.E., even though I would have liked a bit more information about the science that was behind the enhancements the characters received. I liked the relationship between Natalie and Riordan, but given how unethical it is for a psychiatrist to become romantically involved with her (or his) patient, I was surprised that there wasn’t more conflict. I did think that the chemistry between the two characters came across as very real and natural. It was nice to see the hints of the other characters and their relationships, too. I particularly liked Rose and I would have liked to see more of his friendship with Riordan. There were some fairly amusing moments in this book, but I also felt there were quite a few good, intense moments as well. I would have liked to see more of the powers of the other agents of D.I.R.E., too. I felt the author did a good job of showing how Riordan’s past affected him and gave him serious trust issues; something that I can really identify with. I also felt that there was a fairly good mixture of the plot and romance. 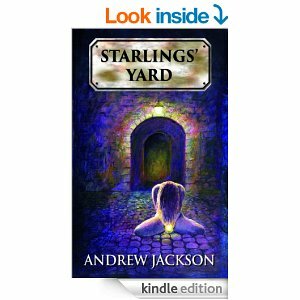 I felt there was enough of a storyline to keep me invested in more than just the two main characters jumping into bed together and I felt that the book was really well-written and a good read. I’d definitely be interested in reading the other books in this series at some point in the future. 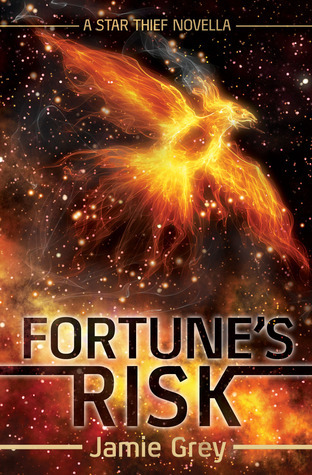 It’s Renna’s biggest job yet – convincing MYTH leadership that she’s put away her lock picks and is ready to save the galaxy, despite the dangerous implant in her brain. But with the Athena on the run, she’s working solo and facing her most ruthless enemy, the traitor Pallas, who’ll go to any lengths to destroy the MYTH organization. Including framing Renna for a devastating assault on MYTH HQ that leaves their defenses crippled and hundreds dead. Now that MYTH believes she’s a dangerous double-agent, Renna escapes their firing squad before they put more holes in her than a pair of fishnet stockings. But the ticking time-bomb in her head is the one thing Pallas needs to complete his master plan and he’s not about to let her get away. Even worse, he’s discovered the only thing that will bring Renna to her knees – threatening Captain Nick Finn. Out of time and options, Renna’s got one shot to take down the traitor before he annihilates everything she loves, even though winning this battle may cost her everything. I don’t have this happen very often with books, but when I keep thinking back on this book, I feel like I read it in first person. It’s not actually written in first person… but I think that Renna is a character I was able to relate to so well, I was able to truly connect with her. 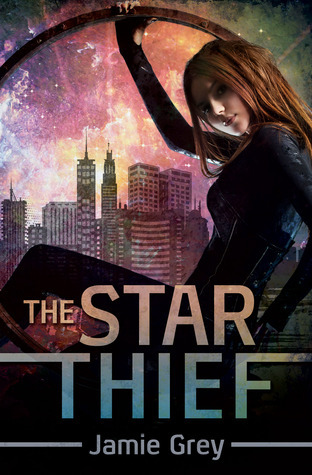 At first, this book seemed much more contained than Star Thief. That didn’t last for very long, though, and I was quickly drawn back into the world contained within this book. 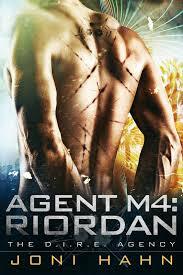 I really found myself liking Viktis even more in this book… and I really disliked Finn. 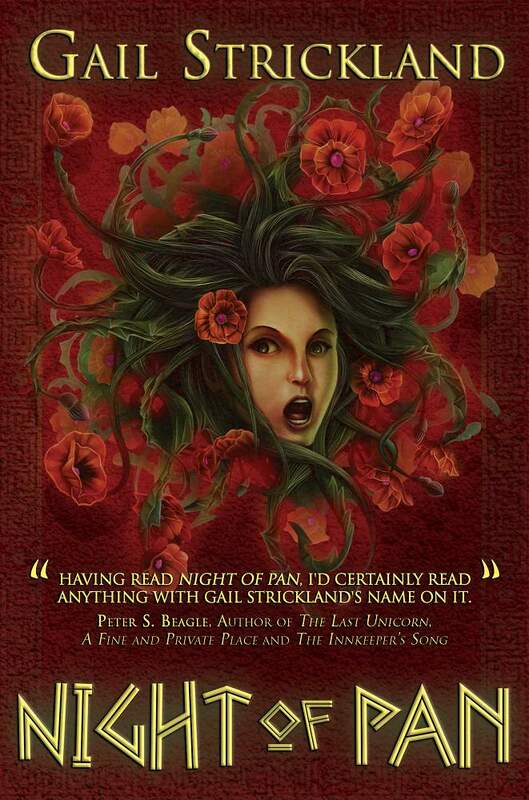 I did feel that Renna came across as a really strong character in this book. She was really easy to empathise with and the implant that she was dealing with was pretty intriguing, as well as very scary at certain points. I felt the author did a good job of showing the development of the different abilities that the changed implant was giving Renna. I liked the nod to various bits of Greek mythology, from the title to the codenames. Being a big fan of Greek mythology, I really appreciated those uses. I really appreciated the fact that the author made the bad guys more human, rather than just evil for the sake of being evil. Villains who believe they’re doing the right thing are always the most interesting kinds. I felt that the world itself was a really intriguing one. Although I didn’t see nearly as many of the alien races that I would have liked to, it was definitely clear that there was a much bigger world outside of what was going on with Renna and her ‘guys’. I would have really liked to see more of Viktis’ romance… actually, probably just more of him generally. In many ways, he makes me think of Han Solo from Star Wars… the rogue who isn’t technically one of the good guys, but still comes through anyway. 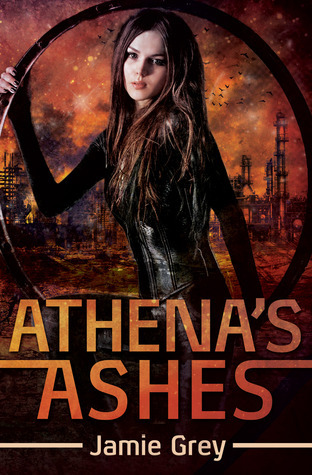 I found this book to be really well-written and if you like young adult science fiction books, this series is definitely one that’s worth reading. At some point in the future, I’d like to read the novella in this series and I also plan to at least check out more books by this author at some stage. For someone who was supposed to be the best thief in the galaxy, Renna had been spending entirely too much time locked up lately. Not that a high-security hospital room in a secret MYTH base was much of a prison for her, but the IV line snaking from her arm might as well have been a pair of Saltani iron handcuffs. She swung her feet over the edge of the lumpy bed and watched the holoscreen on the far wall. Stats scrolled past, red text on the black background. Her vitals were stable; blood pressure was fine. Looking at her chart, she was the picture of health. Except for the cybernetic implant taking over her mind. 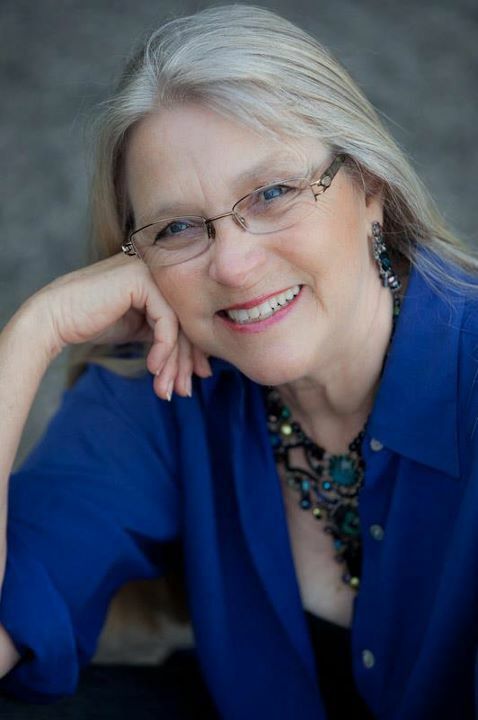 Renna rubbed the back of her neck where the original incision site had started to throb. It had been doing that a lot lately, thanks to Navang’s depraved experiments and the drugs he’d injected her with. Drugs he’d used to create a whole army of human-robot hybrids. Thana Samil, the MYTH doctor in charge of her case, said it was nothing to worry about, but Renna knew better. In the five days she’d been locked up here in the MYTH facility, the pain in her head had only gotten worse. And then there were the weird side effects. She hadn’t stepped foot outside her room, but she knew a bank of super-servers sat in the northeast corner of the facility, as if she’d drawn the blueprints herself. Communications relays resided on each corner of the roof. She’d even felt the throb of the automated defense cannons guarding the facility. If the doctor and her team didn’t figure out how to slow down the integration between the implant and her nervous system, Renna would be a walking machine before she had the chance to stop the person behind all this. If Renna’s hunch was right, the traitor was close enough to touch. Maybe even inside this facility. But she’d never find him if she was trapped here for the rest of her short life. She slid off the bed to pace the stark room, careful not to disturb the needles in her arm. Six steps to the door. Turn around. Six steps back to the bed. She’d done this to herself. She’d volunteered to be locked away and dissected, just to keep Myka Aldani safe. To keep Finn safe. Her pacing slowed as a pang of longing shot through her. Captain Nick Finn. Former gang member turned MYTH soldier and her first childhood crush. Now, she suspected that she’d fallen in love with him, which worried her. Renna had spent most of her life making sure that didn’t happen. Yet somehow his bright blue eyes, square jaw, and straight-laced moral code had slipped through her defenses. Renna felt herself go warm as she remembered the last time she’d been with him. She’d escaped from Navang, but not before he’d started the process of taking over her implant. Finn had spent the night in her room, waiting for her to regain consciousness, and she’d practically begged him to make love to her. She could still feel the heat of his skin. She inhaled, half-expecting to smell his scent—sandalwood, gun grease, and something that was inexplicably him. She needed to know what was going on between them, and if that meant more bunk-side exploration, she’d totally take one for the team. But until she knew how to stop Pallas and put an end to these experiments, she wasn’t going anywhere, despite the urge she had to run back to Finn. She’d stay in this facility and let them poke and prod her, just to protect him and Myka. Even if it made her crazy. The lock on her door beeped, and high-heeled shoes clacked across the threshold. Speak of the devil. The doctor brushed her bangs back off her forehead, and Renna gritted her teeth as she slid back onto the bed, preparing to be poked. Renna flinched. Not only because of the quick jab of pain as the doctor deftly slid the needle into her arm, but because she was already picking up those electronic signals. Things were progressing faster than the doctor knew. Dr. Samil nodded as she tapped some information into her tablet. “Navang wanted to create an army of hybrids he could control, right? Well, the first step was to keep their bodies from rejecting the modified implants he installed. But it didn’t work. His technique destroyed some of their own tissue and risked the constant rejection of the implants. Hence the need for a steady infusion of the anti-rejection medications. Samil’s voice rose as she spoke, her gestures growing even more animated, but a dull ache had started in Renna’s stomach. She remembered the expressionless eyes of the minions at Navang’s lab as she’d slaughtered them to ensure Finn and Myka’s escape. Her heart squeezed as she recalled Viktis’s assurance that she would make it. Her skin crawled at the realization that she was nothing more than an experiment to the doctor, a shiny new toy to be studied until the novelty waned. But this was Renna’s life. She wasn’t going to sit here helpless while other people tried to save her. “How long do I have?” she interrupted before Samil could get even more excited. The woman positively hummed. “You saw my file. I grew up in the Izan tenements on Earth, with a prostitute for a mother and a background in stealing. I’ve worked hard to move on, but growing up like that leaves a scar. Or two.” Renna forced herself not to touch the physical scar on her neck, the daily reminder of that life and everything she’d worked so hard to forget. Thinking about her mother’s attempt to kill her in a drug-induced rage still made Renna flush with shame and hatred. Still made her wary of trusting anyone. Even Finn. “If I had a choice, I would’ve been long gone by now. I’m no hero, and I certainly am not a team player. I don’t need to depend on a galactic organization. I just need myself.” Renna settled back against the pillows and crossed her arms. “MYTH can keep its good deeds. I’m just in this for the dental plan.” And just maybe to make sure she got a shot at happily ever after. Samil chuckled, and Renna felt a responding smile twist her lips. Despite the needles and the fact that the doctor viewed Renna as a science experiment, she liked the woman. Samil was whip-smart, and if anyone could solve this puzzle, it would be her. “What am I going to do with you, dove?” the doctor asked with a shake of her head. “Save me, I hope.” But the doctor could stop using that stupid nickname any time now. Thinking of Renna as a meek little dove was laughable. 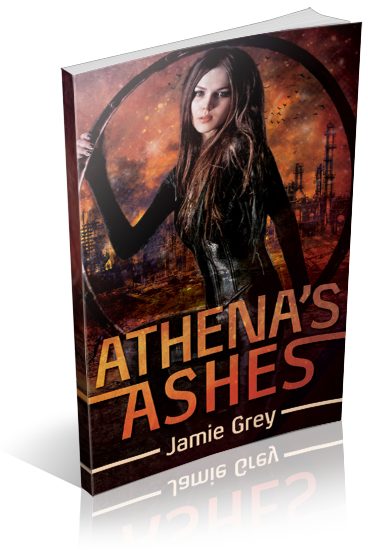 Renna’s pulse jumped, and she dropped her gaze to the stark white tiles on the floor. This was exactly why she’d sent Finn on the run with Myka. Destroying the facility had been the only way to stop the human-robot hybrid army Navang and Pallas were building, but it had also signed Renna’s death warrant and put the kid in even more danger. Had she made the right choice? Could she have stopped Navang another way? “You know Finn?” She clenched her hands in her lap at the unexpected pang of jealousy. The past seven years had changed Finn into a different person, and those years were wrapped in a protective cloak that seemed to surround his heart. He was different, but that Finn from her childhood still remained. She’d thought they’d have plenty of time to get to know him again, to figure out if there was, in fact, a relationship developing under her nose, but life never worked out the way she planned. A lump formed in her throat, and she had to swallow around it before answering. “Finn and I didn’t exactly get along when I came on board.” Sticking to half-truths was the safest bet for now, until she figured out who she could trust. Samil smiled as she left. The door swished shut behind her, and the sound of the lock re-engaging echoed through the room. 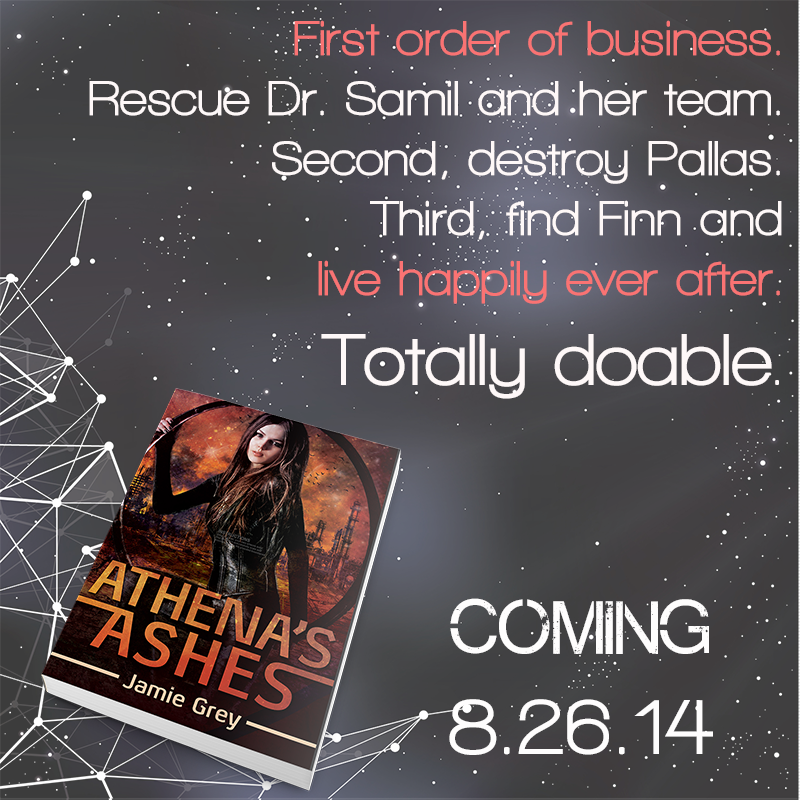 Follow the FFBC Athena’s Ashes Blog Tour and don’t miss anything! Click on the banner to see the tour schedule. Jamie Grey spent most of her childhood writing stories about princesses who saved the day and pretending to be a daring explorer. It wasn’t until much later that she realized she should combine the two. 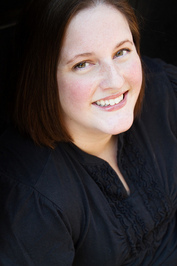 Now, as a tech-obsessed gamer geek, her novels mix amazing scientific developments, future worlds, and the remarkable characters that live in them. Jamie lives in Michigan with her boyfriend and their pets, who luckily tolerate her overspending on tea, books, and video games. 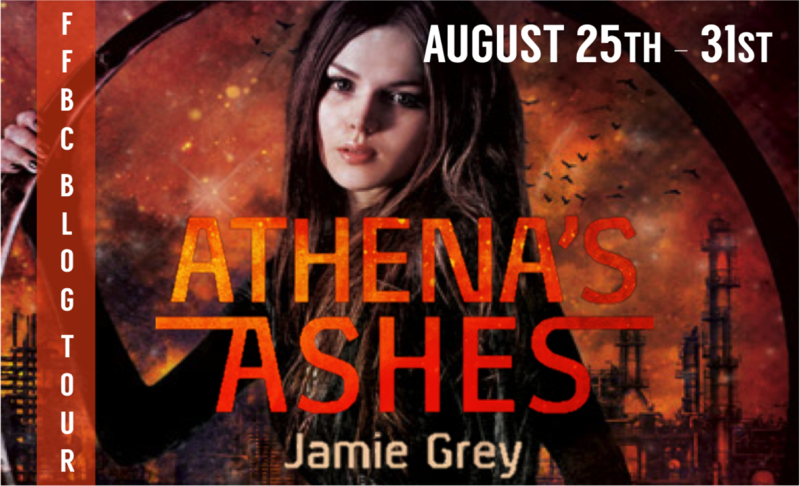 You can learn more about her at www.jamiegreybooks.com, or follow her on twitter via @jamie_grey. I felt that this book was a really fascinating read. I’m not sure I could see I liked everything about this book, or that I’d read it again, but it was certainly intriguing. I did like some of the storyline. At the moment, I really like ghosts in fiction. I think they fall by the wayside too many times and demons, angels, vampires and werewolves have become too overused in the paranormal genre. The character of Cassie was quite an intriguing one, even though I think the ‘ethereal damsel in distress’ is kind of an overused trope. Mark was also a fascinating character, even though I wasn’t really sure I liked him. There were certain things that didn’t really endear him to me as a character. I liked the thing with Hannah. I would have liked a bit more of an exploration of certain aspects to do with her, but on the whole, I liked the way her storyline was handled. I wasn’t very keen on Penny and Cissy as characters. I’m all for strong female characters, but neither of them came across as very nice people. Rosso was a really interesting character, but I didn’t think something in particular worked about him. There wasn’t really enough foreshadowing for one of the things that was revealed about him. Although there were some parts of the ending that weren’t really closed, I felt that it ended about the best way it could have done. And although there were times the changing motives of the characters made me feel almost dizzy, I still found this book entertaining and easy to read. As I said above, I don’t think I’d read this book again, but I would definitely check out other books by this author at some point in the future. (I received a free copy of this book, from Curiosity Quills Press, in exchange for a review). I was a bit surprised at just how much was happening in this book. That isn’t always a good thing, but it worked really well in this book, because I felt that the different storylines worked really well together and that the characters were all really well-developed. Dreams are used a lot in different kinds of fiction, but I thought it was quite interesting to make the use of nightmares in this book. I also liked that there wasn’t really any romance here… it makes a nice change from the books where the romance takes over the whole storyline and quickly becomes the main focus. One of the things I particularly liked about this book was the evolution of the relationship between Carrie and George. I felt that the author clearly spent quite a lot of time on that and it was one of my favourite parts of the book, even though there were some things that were a bit sad. I would have liked to know more about some of the characters, such as Steve and Rose. Both of them had enough hints to make me curious about their history and how they knew each other. Mercury was a character who intrigued me as well, even though I didn’t really like her. There was a lot about this world that I would have really liked to see further explored. If there’s a sequel to this book, I’d definitely be interested in checking it out at some point in the future. When I originally saw this film advertised, I thought it would be a sequel to Limitless. Although there was no obvious connection to that film, there were some vague similarities… but I personally don’t think it’s a rip-off, which was my original thought when I saw the trailer. One of the things I liked about this film was the use of images from nature throughout. Those scenes were interspersed at, I felt, extremely relevant points where I could see the correlation. I found the character of Lucy one to be easily relatable, even though I didn’t know a lot about her past. She seemed almost like a clean slate to begin with; a character that I, the viewer, could empathise with. There were some scenes in this film that were quite tense, but others that were a bit more difficult to understand. 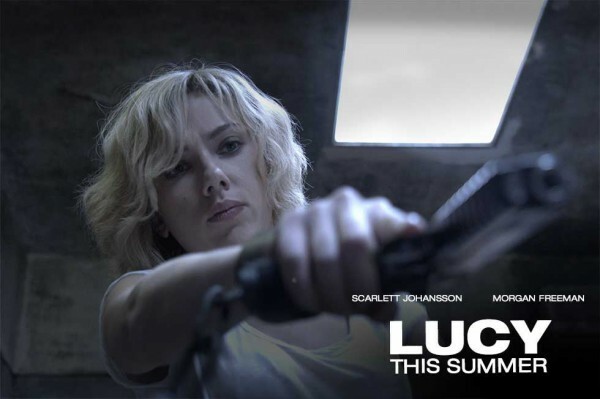 The scientific aspects were explained to a certain extent, but by the end of the film, I wasn’t sure how some of the things Lucy could do were possible. The idea of unlocking the full potential of a person’s brain is quite an intriguing one. The count-up to 100 worked particularly well, but a couple of things were really quite confusing. There was a lot of violence in this film. There were some comedic moments, too, but a lot of them were directly relating to the violence. I found the ending of the film to be a bit disappointing, though I’m not really sure why. I’m not sure I’d watch this film again, but I felt it was definitely worth watching at least once. 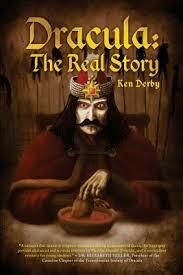 I’m not sure when or where I first found it out, but I remember learning somewhere that Bram Stoker’s Dracula was likely at least inspired by Vlad the Impaler. I already knew bits and pieces about Vlad – probably the most obvious things, really. This book did contain more interesting information about the real-life Dracula, but I felt that it was somewhere in between a factual, non-fiction book and a historical fiction novella. The author did a good job of showcasing Dracula’s brutal side, but not so much how he could have been considered a hero. I was a bit surprised at the sudden mention of his wife and son – they hadn’t been mentioned so much before, so I had very little idea of what they were like with Dracula. I did think there was a lot of opinion in this book, such as the author’s comments on how Dracula would have felt about certain things. It was interesting to see the quotes taken from sources and I felt the use of footnotes worked really well in this book. I also like the illustrations at the end of the book. At least one of the other books by this author looks like one I’d be interested in reading at a later date. This book was intriguing and violent and there was clearly a large amount of research that had gone into it. In Wicked Path: Book Two of the Daath Chronicles brother and sister are forced to opposite sides of Tarrtainya on a fast-paced adventure where the wildlife isn’t the only thing trying to kill them. Three months have passed since Avikar defeated the Reptilian Prince, and he still can’t remember his battle with Lucino. On the hunt for answers, he returns to the scene of the fight and discovers a strange connection between his family’s dagger and the mysterious kingdom of Daath, and it seems only his distant father can reveal the truth behind it all. Before Avikar can travel back home, Lucy assaults him in the market and forces him to flee to Nod Mountains—a place few dare to enter, and even less return from. 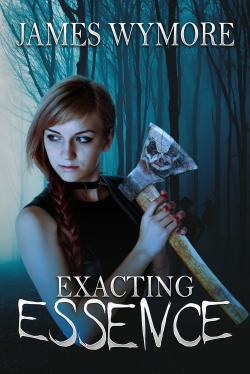 With Raven and her childhood friend by his side, they must survive the treacherous journey through the pass with a vengeful Lucy hunting them. If they don’t, they’ll never see home again. Jeslyn’s new life in Luna Harbor is the perfect remedy for her confused and broken heart. But when a group of mercenaries kidnap her beloved Grandfather, interrupting her daily routine as his jewelry apprentice, she’s forced to join forces with the one person from her past she tried to forget. And his assistance comes with a price. Eliza graduated from Dowling College with a BS in Visual Communications. When she’s not arguing with excel at her day job, or playing Dragon Age 2, again, she’s writing. Her YA stories hold a bit of the fantastical and there’s always a hot romance. 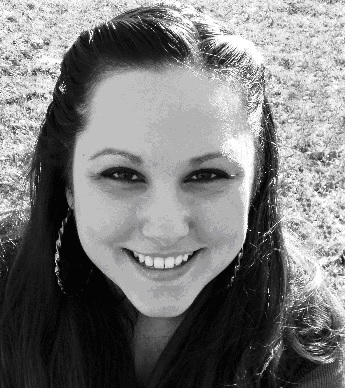 She resides on Long Island with her husband, two kids and one very snuggly pit bull.